TeddyID | Password-free login with a phone. Easy and secure. Password-free login with a phone. Now you can log in to sites by tapping just one button on your phone. No more remembering and typing passwords. You want it to be easy to use, and you probably have one password for all sites. And you know it is insecure. 1. 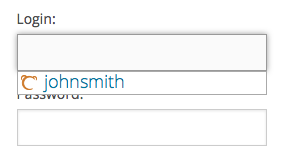 You click your username. 2. You receive the same picture on your computer and on your phone, make sure the pictures match, and tap "Yes" on the phone. 3. 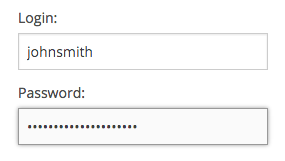 Your password is decrypted and filled in for you. 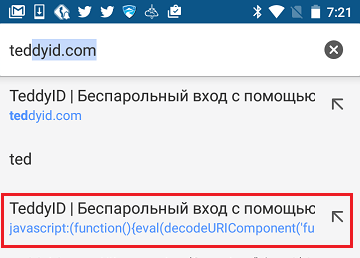 Try it for yourself by installing a browser extension on your computer and TeddyID app on your phone. You are secure because login requires two devices that you own: your computer and your phone. An attacker will have a hard time trying to get hold of both at the same time. Each password is encrypted and saved (with your consent) when you use it for the first time. 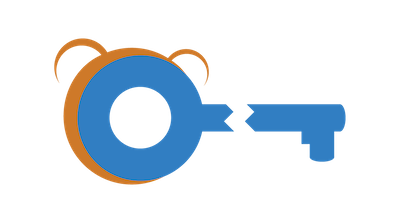 When you sign up for a new site, you don't have to type a password even once: Teddy will generate a complex unbreakable password for you. You never manually type your passwords, hence they are not available to keyloggers, and nobody can get the password by looking "over your shoulder"
encryption key — it stays on your computer. This is similar to door key cut into two parts. To use it, you need to get both parts and join them together. We store one of the parts — the ciphertext, and send it to your computer only after receiving confirmation from your phone. Then your computer joins the two parts together — decrypts the password. We use industry standard AES-256 and RSA-2048 algorithms to encrypt your passwords. all encryption/decryption is performed only on your computer and your phone. 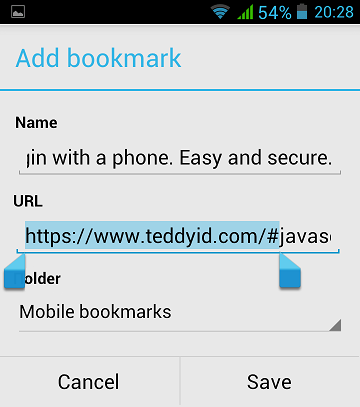 After adding the extension you will see instructions for installing and pairing TeddyID app on your phone. You can try the browser extension free of charge for 30 days. Then, if you liked it, you pay just $0.99 for your lifetime license. Bookmarklet is always free. You can use TeddyID Password Manager on all your desktop computers, laptops, tablets, and phones. no need to sync passwords across many devices, this happens automatically once you pair a new device. A password that is saved on one of your devices will be immediately available on all other your devices.